ATLANTA, GA--(Marketwired - Mar 31, 2016) - Outback GutterVac, the premier gutter cleaning franchise, has announced the launch of its interactive franchise website, outbackguttervacfranchise.com, which provides entrepreneurs with a detailed overview of the benefits of investing in an Outback GutterVac franchise. The content-driven franchise website features a variety of information for franchisee candidates interested in learning about ownership opportunities with the premier gutter cleaning franchise. Prospective owners can learn more about the business directly with documentary videos featuring the Outback GutterVac executive team and stay up to date with the latest news about Outback GutterVac's growth and development. 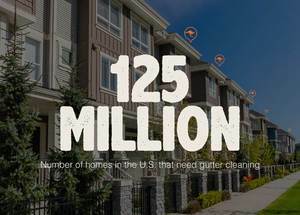 "As the American home and property owner becomes more educated about the vital link between routine gutter maintenance and a healthy home environment, Outback GutterVac is the only company poised to win the dominant market share of the emerging gutter cleaning industry," said Gillian Harper, Chief Operating Officer with Outback GutterVac. "We're primarily competing with small-time contractors who aren't capable of our level of service. We are setting the standard for what the American gutter cleaning industry should be, not only from a safety perspective, but also from a customer service perspective. Our customers have never had the level of professionalism that our franchisees extend, nor could they be 100% sure that their gutters were actually cleaned before we entered the marketplace." The Outback GutterVac gutter cleaning franchise capitalizes on two fundamental facts for every American home and property owner: 1) the need to protect the significant investment made in homes and properties, and 2) the responsibility they have to ensure that their families, tenants or workers are in healthy environments. While new to the United States, Outback GutterVac has been a successful concept in Australia for nearly 20 years. As Outback GutterVac ramps up for rapid expansion in America, our long track record of success in Australia is a key selling point for American franchisees; they have a proven business model to follow, one that has been designed to allow them to think of nothing other than growing their businesses and hiring the right technicians. "Outback GutterVac provides the level of professionalism the American consumer expects," said Scott O'Hara, Director of Outback GutterVac. "While the ThunderVac™ Technology Process proves the efficacy of what we do -- by cleaning not only what is visible to the eye, but also the debris and the bacteria that is unknowingly growing in your gutters -- we don't rely on technology alone. Our people are experts. We clean the downspouts and can alert our clients to roof damage. We are our clients' eyes in the sky. We provide before-and-after photos, not only to prove our work, but also to live up to our polite and professional appearance and demeanor, as well as our code of ethics." Outback GutterVac is poised to become the dominant national brand for gutter cleaning and is ramping up for rapid expansion across the United States. With a low initial investment, Outback GutterVac is actively seeking entrepreneurs who have a passion for keeping home and property owners healthy in their environments, and who have a desire to improve their lives. With the initial investment ranging from $94,200 to $151,000 for a complete Outback GutterVac franchise, the premier gutter cleaning franchise is offering a low-investment opportunity with the potential for a high return. The time to bring Outback GutterVac to your community is now. Because we believe that veterans have the skill set necessary to become successful Outback GutterVac franchisees, entrepreneurs with a history of honorable military service will be awarded two franchise territories for the cost of one. This incentive will help veterans rapidly scale their businesses as they enter their new career as Outback GutterVac franchisees. To learn more about franchise opportunities with Outback GutterVac, visit outbackguttervacfranchise.com. With a proven business model, Outback GutterVac is actively seeking single- and multi-unit operators who are passionate about the brand and committed to providing the highest-quality service. 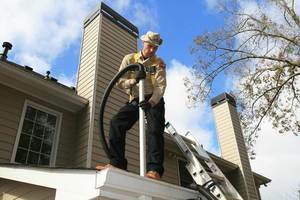 Outback GutterVac is poised to become the dominant gutter cleaning franchise in the country.